If you're looking for a London hotel close to the capital's biggest and best; Novotel London Canary Wharf is an excellent choice, you can be sure that your every want or need will be catered for. Just a short walk to Canary Wharf underground station, you'll enjoy easy access to attractions such as the London Eye, O2 Arena, the City and historic Greenwich. 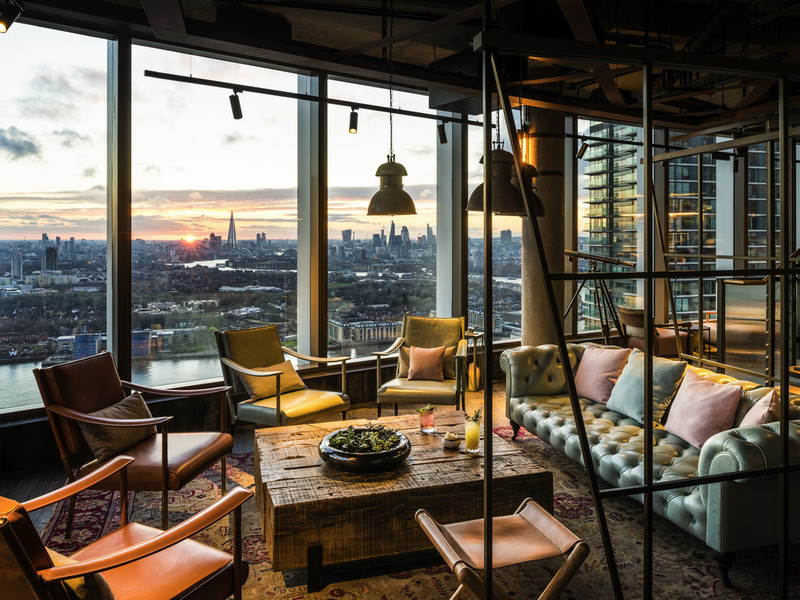 Novotel London Canary Wharf is a close walk from Canary Wharf underground station, providing easy access to the City, the O2 Arena and Greenwich. With 9 meeting rooms, free WiFi and a pool, it's the perfect setting for both business and leisure stays. We are BOKAN, the award winning 2 AA Rosette dockside beacon for artisanal food and drink. We have crafted a menu inspired by rich European cultural cuisines that have flowed along the Thames since ancient times. A warm welcome to Le Club Lounge - our stylish and cosy space designed exclusively for our Le Club Accor Hotel members. An ideal getaway from the hustle and bustle of the hotel with a range of refreshments and snacks available. Amazing views! The room was so clean and lovely, the staff even left a little birthday surprise for my boyfriend. Would highly recommend to stay here. My stay was perfect 10/10 until 2 days after i left , everything was tops , my suite was super , service in all departments incl restaurants was the best . But , after 2 days i got a msg from my bank that i was charged a further 90+ STG about a bill that was settled at the bar , that was NOT true as i settled directly before retiring to my room , after long duscussions over the phone and practically arguing my case i was given the refund , no one called beforehand but simply took money from my car . That ruined the 10/10 i gave in my review on TripAdvisor. Overall a great relaxing stay, in a beautiful quirky hotel. Although I am an Accor card member, and book more expensive executive rooms on purpose, my request (part of my profile) to have one of the many non-Docklands Light Railway side rooms was again not honored: you gave me &quot;the&quot; room that is on the DLR side, and even on the 32nd, it is incredibly noisy. I do not plan to stay with you in the future. A great stay! Lovely room and fantastic view. Thank you for the kind gesture of chocolate brownies for my friend’s 40th birthday, a lovely surprise. Very welcoming staff, amazing rooms with great views and the breakfast was lovely. Great, I really enjoyed my stay and the staff were great. The room was specious and the bed was very comfortable. The shower and bathroom where clean. The breakfast was excellent and the staff was kind and very nice. The hotel also surprised us with a cake for my wife's birthday. The customer service was great and the room was impeccable. Lovely hotel with great views, facilities and food and excellent location for the o2. It was really nice, the staff were friendly and the facilities are lovely. Overall the room was really nice and spacious but we did not receive any dressing gowns, and were told we would need to pay £25 more per person to get these, which seemed a little excessive. In addition to this our shower leaked a lot leaving a puddle on the floor, and we did notify staff who said they would come to fix it whilst we were out for the day, but it seemed unchanged when we returned as it leaked again. The hotel has a great style and the restaurant/roof terrace is really nice. Overall impressed, but would've been nice to have those gowns and the shower sorted.